Slippery elm aids nutrient absorption and is used as a soothing and cleansing herb for the digestive system. The amino acid l-Glutamine supports healthy brain activity and mental ability. 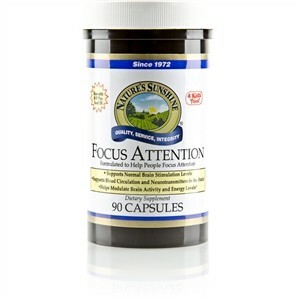 DMAE is a biodynamic nutrient used for memory and learning enhancement. 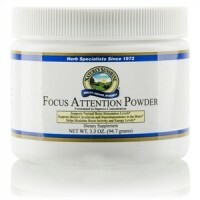 It also quenches damaging free radicals. Lemon balm leaves have been approved by the famous German Commission E for their ability to soothe the nervous system. Grape seed extract is high in proanthocyanidins-highly active compounds that can readily neutralize brain-damaging free radicals caused by toxins or over-stimulated brain metabolism. Ginkgo biloba is well known for its support of brain and circulatory health. Over 12 years: Take 2 capsules with a meal twice daily. Age 6-12 years: Take 1 capsule with a meal twice daily. Under 6 years: Consult your health care professional.